If you grab NirLauncher, you automatically grab the latest versions of all NirSoft utilities in one go. 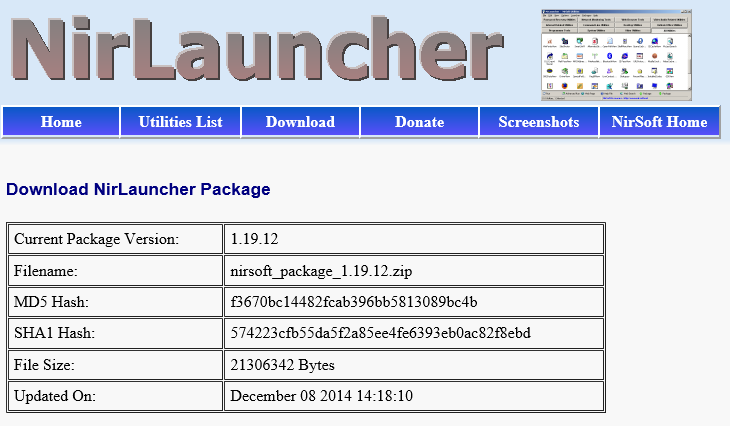 Grab this free utility from the NirLauncher product page (~20 MB) and check it out for yourself. I’m running it right now on a Windows 10 installation, but I’ve used these tools on Windows XP through 8.1 also, all to good effect.